Well, what a weekend of racing at the fabulous Lismore track! 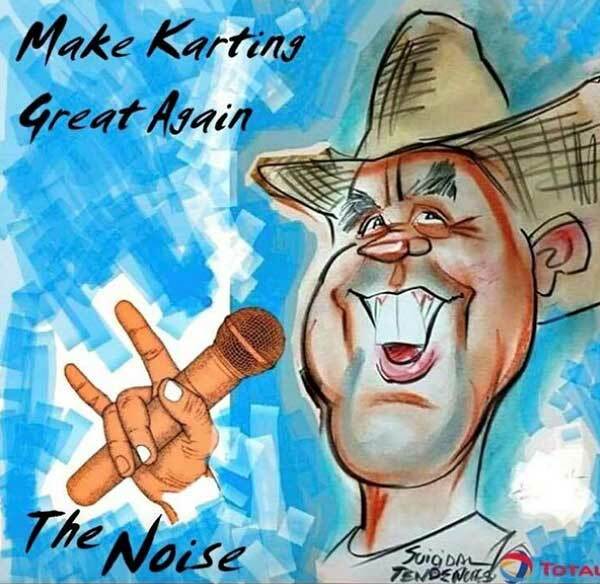 Kev “The Noise” Davies had a blast and so did 75 kart racers that rocked up from all over NSW & southern Queensland. Crisp morning air on Saturday made for good practice conditions and then racing got underway. In the KA4 Junior Light superb, driving all weekend long saw Joshua Kerrin take overall victory and Sam Seccombe brought it home second, the hard charging Ryan Laycock managed third after some intense battles throughout the weekend. The Noise crew is growing! 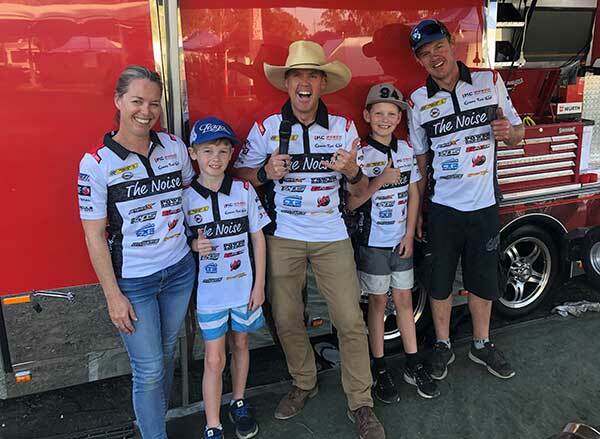 In the KA4 Junior Heavies, Jack “the Mac” McNamara got third overall and it was Amber Kid who secured a hard fought second, but the winner on the weekend went to the super quick Jy Lynn. It was Tommy Gallagher who took the win in KA3 Junior while Zane Morrison battled hard with him all weekend for second spot. In the TaG Restricted Light class, Jake Wheeler drove faultlessly all weekend for a comfortable win. Behind him it was anything but comfortable and father & son racers Jordan (the son), and Darren (the father) Lockhart came home 5th & 6th respectively after all sorts of dramas and bingles! Securing a great 4th for the weekend was the Power Republic driver Michael Tulloch-Facer. The remaining podium positions were William Seccombe in third and a gallant drive from “cowgirl” Simone Bisgrove to secure second. KA4 Senior Heavy was won by Paul Hull who mixed it with the Lights all day. In KA4 Senior Light, Dean Nommensen was most pleased to secure third for the weekend after not being to confident of doing so in his Sunday morning interview. The king of the hang ten salute Jordan Kingham grabbed himself second place but it was a fantastic display of dominant fast driving by the cowgirl herself Simone Bisgrove that took victory. Cadet 12 was a stand out class all weekend long with multiple winners in the heats. In the end “kaydog” Kayden Thompson secured enough points to get 6th, bringing it home in 5th was the very impressive Jamie Newton. Braith Santin had a cracker day and brought it home 4th. The podium positions were hotly contested too and eventually third place went to “kyser” Kyle Suffolk, second place went to the hard charging Zane Wilhelm and the winner for the weekend was the bang in form Jakob Scott. In KA3 Senior, Logan Atkins was the lone entrant and he drove gallantly to hang on to the back of the TaG Lights. In TaG Lights the local driver Jodie Nommensen managed to grab third for the weekend. Second place was held onto by Paul Kid with dramas in the final almost changing the result! But the run away winner for the weekend was the super fast Matthew Neil. Cadet 9 was super competitive all weekend long. Jarris Walker drove excellently to get 5th but special mention goes to Elley Smith who absolutely never gave up all day and just pipped Jarris into 4th place. The podium places were just as hotly contested – “DIMA” Basilio Micale eventually getting third, second place was taken by James Cittolin who fought off a bit of flu on Saturday to come through to second, and a faultless performance all weekend long to battle hard for the win was Jake Santin. In TaG Restricted Medium, one of the biggest classes of the day, saw Brock “ships ahoy” Lannoy winning every heat Saturday, but unfortunately took no further part Sunday due to a stomach bug and eventually finished 6th overall. Fifth overall was taken by Jason Routley and in 4th with a fantastic drive against stiff opposition was Matthew Woods. As for the podium positions, bringing it home 3rd was Dan “the man” Moxon, in second with a fantastic display of competitive driving was Greg Moores and the win for the weekend and well deserved it was too, all hale Winston Heywood! A fantastic weekend of racing at a fantastic little NSW track!